When I left for Bali I was ready to land to a vegan paradise, and I wasn’t disappointed. It’s actually easy to find vegan food in Bali and, most important, you don’t need to look for it in western-looking restaurants but you can enjoy local dishes instead. Nevertheless, I think you should be aware of a huge difference that you will find between Ubud and other areas...here’s my experience. Ubud is one the most famous cities around the world for vegan food, and there’s a reason for that! Vegan choices are offered almost everywhere, to high-end restaurants to local warungs. We usually preferred the local warungs not only for the price, but also because we love trying local food. 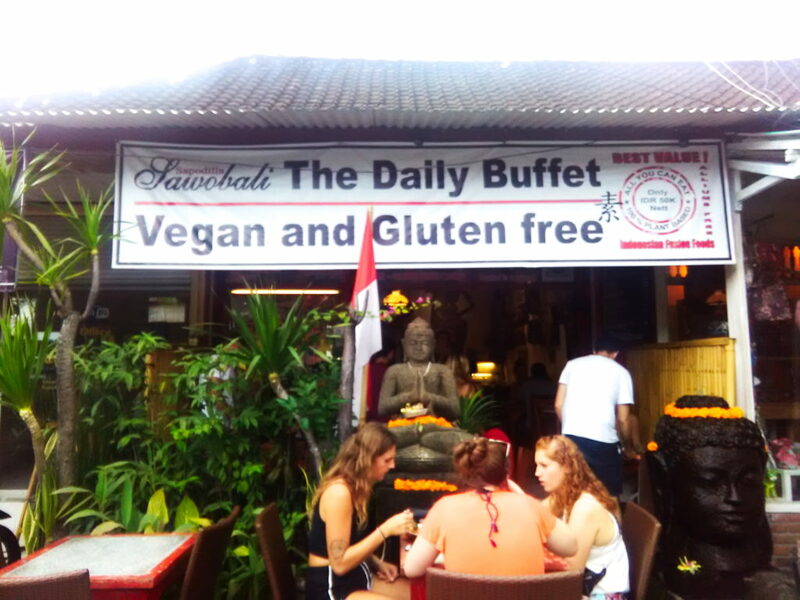 But the best place I can suggest is Sawobali an all you can eat vegan buffet! You can eat tons of delicious vegan food for around 3 euros. Here we didn’t find the same huge availability of vegan food that we experienced in Ubud, but we ate great vegan food anyway. The first lunch we had in Candidasa was at Refresh, a western looking restaurant with vegan options; it wasn’t bad at all but the price was high for my standards and the serving rather small. Please note that the location market in Happy Cow is not correct: the restaurant is place almost in front of the Danamon Bank. 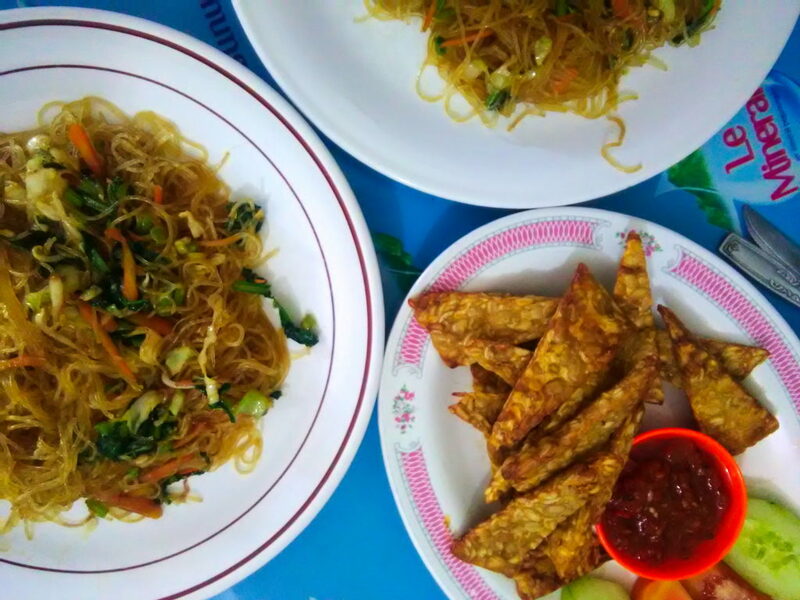 After that we only went to local warungs, in almost everyone of them you will eat boiled or fried rice with veggies, tofu or tempeh, noodles and gado gado, a delicious mix of veggies served with peanut souace. I had tempeh every day while I was in Candidasa and Nusa Dua. 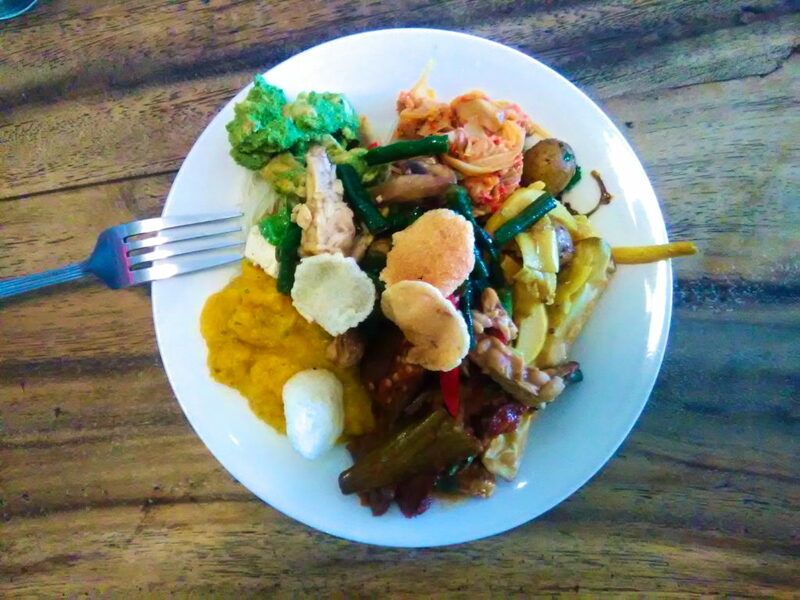 In Nusa Dua we honestly had more difficulties in finding a good place where to eat vegan and cheap: as it is a resort area many restaurants have western prices, and less local warungs have vegan options. The one that we loved was close to our homestay (Coffee Bedroom) and we ended up eating there twice a day: with 1 euro we had rice, veggies and tempeh. It's name is warung Trompong. There were another one or two warung around but they were closed for holiday when I was there.